Vatican finance chief Cardinal George Pell will find out next month if he will stand trial on sexual offence charges, as his lawyer argued Tuesday the cleric was being targeted to punish the Catholic Church. Pell, a top adviser to Pope Francis, is accused of multiple historic offences relating to incidents that allegedly occurred years ago. He took leave to return to Australia to fight the allegations being heard in the Melbourne Magistrates Court. The court said magistrate Belinda Wallington would deliver her decision on whether the case should proceed to trial on May 1. It followed a weeks-long committal hearing involving witness statements and cross-examinations by Pell’s lawyers. He was not present for Tuesday’s final hearing. His barrister Robert Richter told the court the case should be thrown out as the complainants were unreliable and not credible, Melbourne’s Herald Sun reported. He added that the allegations were “the product of fantasy or mental health problems… or pure invention in order to punish the representative of the Catholic Church in this country for not stopping child abuse by others of children”. 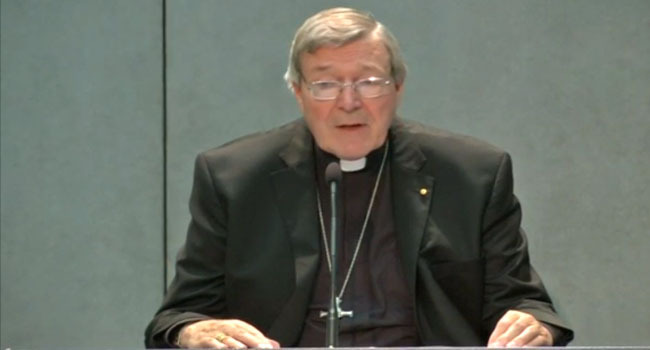 “Cardinal Pell has been seen as the face of that responsibility,” he said. Prosecutor Mark Gibson said while there were conflicts in the testimony of witnesses, they were for a jury to decide on, adding that nothing Richter referred to “amounts to a defect in the evidence”, Melbourne’s The Age reported. Pell, 76, a former Sydney and Melbourne archbishop, is the most senior Catholic cleric to be charged with criminal offences linked to the Church’s long-running sexual abuse scandal. The exact details and nature of the allegations have not been made public, other than they involve “multiple complainants”.